Eurotech Racing has today (29 June) confirmed that Brett Smith, son of regular driver and Team Principal Jeff, will take over driving duties in the team’s Honda Civic Type R for the remainder of the 2017 Dunlop MSA British Touring Car Championship. The severity of Jeff’s injuries sustained during the qualifying crash at Croft Circuit earlier this month have unfortunately ruled out the experienced racer for at least the rest of this campaign. After careful assessment and consideration, the squad has decided to place Brett in the car, alongside team-mate Jack Goff. Brett is currently leading the MINI Challenge Championship with Eurotech Racing in only his second season in the series, having racked up three pole positions, five wins, ten podiums and six fastest laps so far. 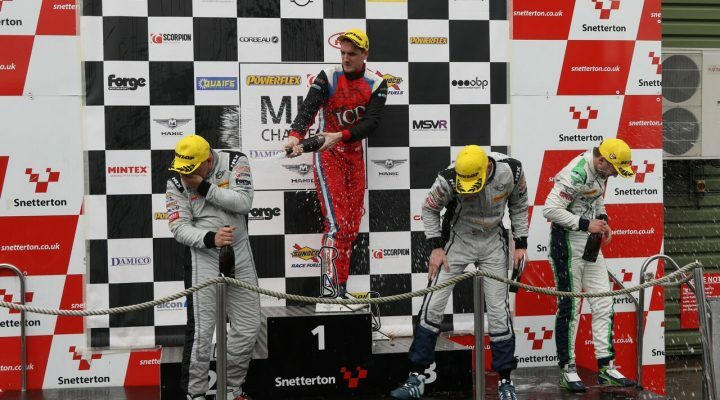 The 25-year-old has also previously successfully competed in the Clio Cup, BARC Clios and Mazda MX5 Championship. Brett will get his first serious taste of BTCC machinery during next week’s (5/6 July) official group test at Snetterton. His race debut will then take place at the same venue with rounds 16, 17 and 18 of the championship scheduled over the weekend of the 29/30 July.